One in a Billion (2016) – What's New on Netflix Canada Today! In a country of 1.2 billion people and in a sport with billions of fans worldwide, there has yet to be a single Indian-born player drafted in the NBA. 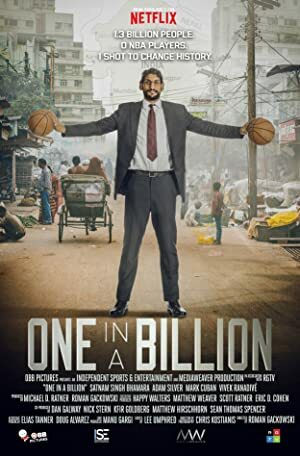 One in a Billion follows the global journey of Satnam Singh Bhamara from his home of Ballo Ke, a farming village in rural India, to the bright lights of New York City as he attempts to change history. Building up to a climactic draft night after years of hard work, Satnam hopes to finally create the long-awaited connection between India and the NBA.